Fergie is an American singer who was born in Hacienda Heights, California on March 27, 1975. On Spotify, Fergie is very popular with a popularity score of 72 out of 100 and around 2 million followers as of 2018. Her most popular track on Spotify is "Fergalicious" from the album The Dutchess. Arthur and the Great Adventure (2010) and Marmaduke (2010) are some movies in Fergie's recent filmography. Fergie's Instagram account (@fergie) is really popular with around 4.5 million followers. Her recent posts to Instagram have gotten about 69,000 likes each. With 2 million followers and a popularity score of 72 out of 100 as of 2018, Fergie is one of the most popular artists on Spotify. The Dutchess and Double Dutchess are some of the more popular Fergie albums. Notable tracks from these albums include Fergalicious, M.I.L.F. $, and Glamorous. Fergalicious has a popularity score of 70 out of 100, making it Fergie's most popular track. M.I.L.F. $ and Glamorous have popularity scores of 68 and 67, respectively. The Spotify popularity score is on a scale from 0 to 100 and reflects the number of times the song has been played and how recently it has been played. There are about 4 movies featuring Fergie as of 2018. Some of the most recent Fergie movies include Arthur and the Great Adventure, Marmaduke, and Life on the Road with Mr. and Mrs. Brown. Arthur and the Great Adventure was released in 2010. 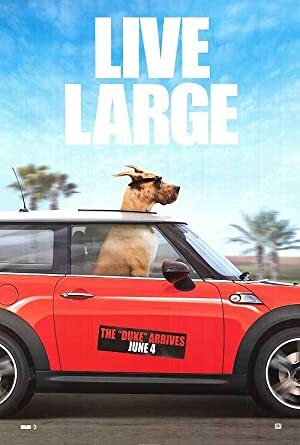 Marmaduke was also released in 2010. Life on the Road with Mr. and Mrs. Brown was released in 2009.